At the Tasmanian Arboretum on Tuesday. Had been a little concerned of late as the admin decided to rid the lake of most of the water lilies which were starting to take over. Hadn't seen the resident Platties for a while but they must have been tucked up in their burrows while the excavator did its job. Are they used to people there? I've never seen one that close up. Very lucky. I guess they do get used to people over time and the way the lakes are set up at the Arboretum it allows close contact as they feed in the shallows under and around the walkways and bridges. Quite a few of the Platypus's have burrows right under the bridges. I've seen up to 8 different ones on the same day and they are free to come and go by means of a connecting creek. Nice shots. 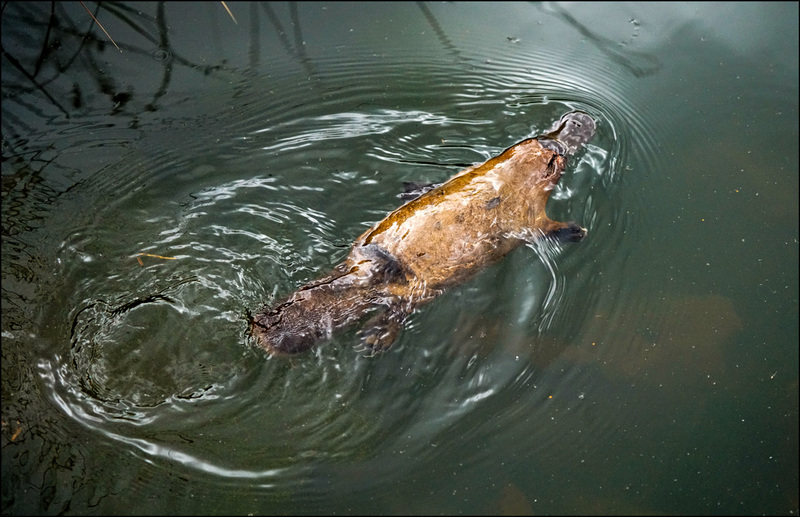 I was lucky enough to encounter a Platypus walking along the side of the road and got shot on my Tassie trip last year. I was blown away. I didn't believe my eyes at first. Great bit of luck there, I don’t often see them out of the water. Well done, not the sort of subject easily found let alone photographed.